When Kingsisle added Zafaria, they also added some other cool new features to the game. One of these is a new housing item.....The Music Player. 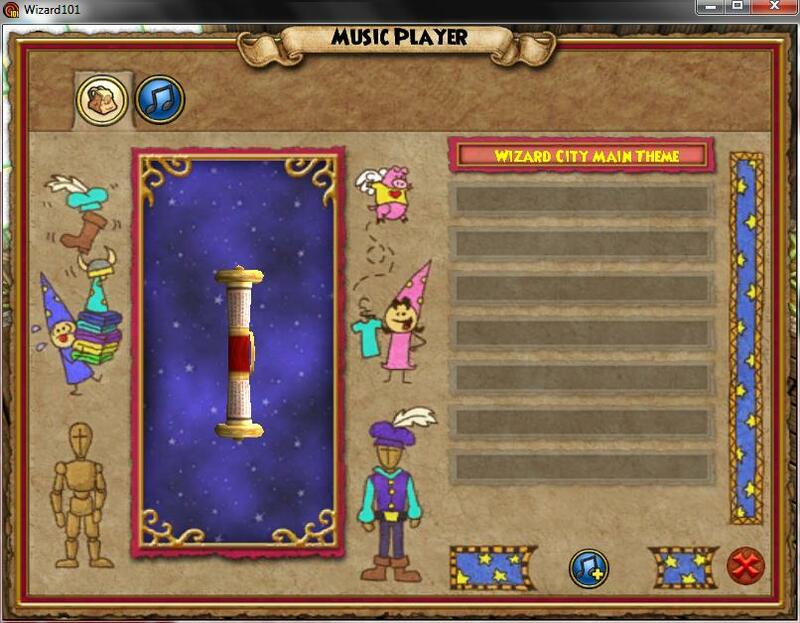 This item allows you to change the music in your house to one of the music themes from around the spiral. 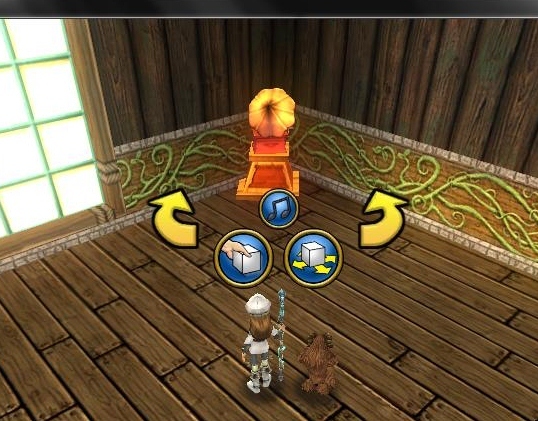 It can be purchased in the Wizard City Housing Shop (in the decorations section) for 1000 gold. I think that this item is pretty cool. Here is how it works. The music player works with music scrolls that you can purchase or find as drops from bosses around the spiral. You place the music player in your house and when you click on it, you get three options, like with the mannequins. You can pick it up, move it, or click the music icon and get this screen. This shows a list of the music scrolls you have in your backpack. Select one and click the icon at the bottom of the screen to add the scroll to your music player. Then click the music icon at the top to see a list of music in your music player, like this. There are two options at the bottom of this screen, one to equip the scroll you want to listen to, and one to remove a scroll from the player. One thing I did notice is that each music player/music scroll combination counts as two housing items. For example, I have nine scrolls equipped to my player and it is counting as 18 items in my house. I kind of hope KI changes that and makes each individual item count only once. Anyway, here is a list of the scrolls available and where to find them. Wintertusk Main Theme - Not sure on this one. I dont have it yet, and don't know anyone who does. Maybe the last bosses in Nastrond? If anyone knows, comment and tell me and I will give you credit. HFjord Theme - Drops from the last bosses in Nastrond (Credit goes to Mindy WindWeaver. Thanks!) This makes me wonder if there will be other scrolls for the other areas of Wintertusk as well. That would be awesome! awesome! Excellent Job. IDK if i'd be farming for these scrolls. Maybe purchase in WC Bazaar? Thanks! 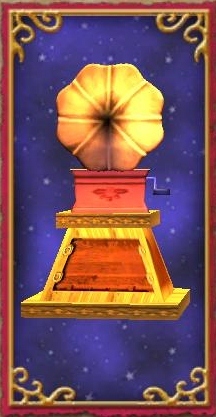 And the scrolls can also be found in the Bazaar, but they are extremely rare. They will probably become more common as time goes on. I managed to get my DS one from there though :) I keep hoping to find the ZF and WT ones there as well. 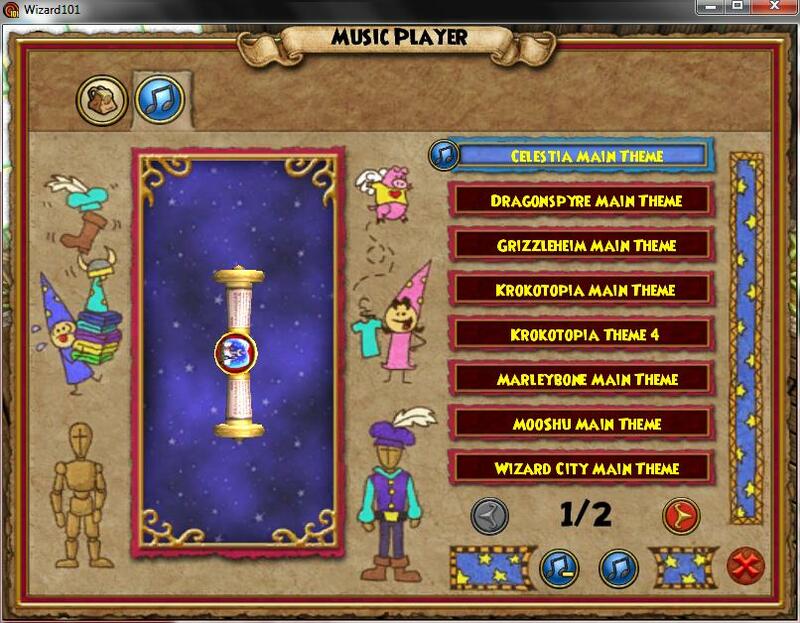 Wysteria Main Theme, drops from Lord Bramble!! I'm farming for it, and when I farm with Paige, she always gets it. Paige has like three of them. Morgrim, Thanks and I will check out your link. Destiny, yeah,m I was farming with a friend and I was the one getting them all. It's weird how some people have better luck with it than others. Great post Autumn! This information has been very helpful! Awesome! Thanks for posting and telling me :) I will update this post with the new information.